the new spirit mark (logo) for athletics at Ohio State University Slug - OSU Credit: Ohio State University. COLUMBUS — There have been other seasons besides this one where being an Ohio State football captain has been more challenging than most years. The 2002 season and all of its Maurice Clarett explosions comes to mind. So does 2000 when Tyson Walter sued LeCharles Bentley during a bowl trip. And there was the suicide of a teammate in 2014. But 2018 has brought some unique challenges to Ohio State’s seven (with an asterisk) captains. With the Michigan game on the horizon on Saturday, some of them talked earlier this week about being a leader with your ultimate leader suspended, your best player – also a captain — having surgery and then leaving the team, and all the other things 2018 has brought. “I guess I think we did a great job. You’d have to ask others. It was a challenge for sure, but having strong leaders around the program kind of made it easier because it wasn’t a one-man show,” wide receiver Parris Campbell said. “We were able to lean on each other when leadership was necessary. “Obviously, we had our hurdles. We’ve had ups and downs of adversity that hit us left and right. I kind of feel like we’ve been in a title fight this whole season. We were getting upper cutted and hooked all over the place. We took it punch by punch, adversity by adversity and just handled it day by day,” he said. Campbell, Terry McLaurin, Johnnie Dixon, Isaiah Prince, Jordan Fuller, Tuf Borland and Nick Bosa were named captains before the season. McLaurin said dealing with coach Urban Meyer’s suspension was the toughest part of the season. “We had Coach Day (interim coach Ryan Day), who did a great job. But not having Coach Meyer during camp was tough because he sets the pace and the tempo of how things are supposed to be,” he said. “This is probably the toughest year that I’ve been a part of just with the ups and downs and the outside noise. The next challenge is playing Michigan on Saturday. Ohio State has dominated the series with its biggest rival since 2001, winning 15 of the last 17 games, including all six in Meyer’s time as the Buckeyes coach. No. 4 Michigan (10-1, 8-0 Big Ten) comes into the game as the favorite over No. 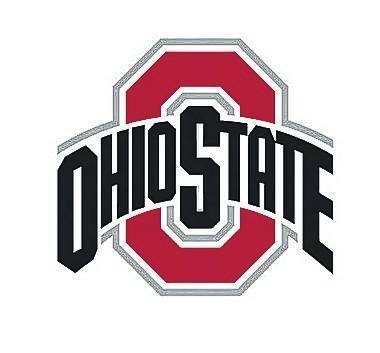 10 OSU (10-1, 7-1 Big Ten) in a game that will determine the Big Ten East Division champion. It is the first time the Wolverines have been favored in a game in Columbus since 2004 and only the seventh time in Meyer’s six seasons at OSU that the Buckeyes have been an underdog. They won all six of those previous times they were not favored – at Michigan State in 2012, at Wisconsin in 2012, at Michigan State in 2014, against Wisconsin in the 2014 Big Ten championship game, against Alabama in a 2014 College Football Playoff semifinal and against Oregon in the 2014 season’s national championship game. Saturday’s game is part of what Michigan defensive lineman Chase Winovich has called The Revenge Tour. The Wolverines lost four Big Ten games last season – to Michigan State, Wisconsin, Penn State and Ohio State. So far, it has gotten revenge on the first three teams on that list this season. https://www.limaohio.com/wp-content/uploads/sites/54/2018/11/web1_osufootball.jpgthe new spirit mark (logo) for athletics at Ohio State University Slug - OSU Credit: Ohio State University.